Happy Monday, Angels! 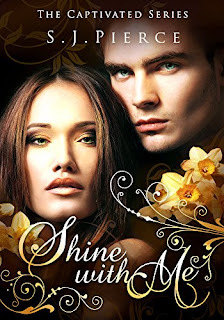 In case you haven’t heard, my amazing publisher, Foundations, LLC, has released Shine with Me, the third and FINAL book of the Captivated Series, and today’s the big day! Please see below for links to purchase your shiny new copies. Also, don’t forget to join us on Facebook here for the release party! I’ll have some lovely little teasers, games, giveaways, and more! After Lilliana threatens to come back and extinguish everyone at the compound, their leadership decides to take a final stand against the woman whose family has been terrorizing them for years. In this last installment of the bestselling Captivated Series, follow Kat and Gabriel as they help prepare for battle against a conjurer who has become darker than anyone could have fathomed. Will their love be enough to shine through it?